SMS World Continues to deliver most reliable and trusted MESSAGING SOLUTIONS for the businesses in India. SMS World offers multiple SMS services to the businesses, individuals, schools colleges, banks, hospitals and other institutes in India. Our hundred percent safe and reliable Bulk SMS services are popular in the entire world. interact directly with your customers and get their feedbacks. Welcome to the most Trusted, Reliable, Powerful and easy to use Bulk SMS Gateway. What makes us the most loved bulk sms gateway. Get a quick glance over your complete message status, configure SENDER ID, template in real-time. Check number of credits available, number of messages sent on same day, weekly, monthly and previous month. Create an experience that is appealing to every user. Communicate with your customers on a personal level and deliver effective messages. Customized messages enables you to send messages by mentioning custom fields like customer name, mobile number, message template etc. easily. Create and manage multiple sender IDs with our user-friendly web portal. Improve brand awareness and promote your brand with sender ID that your customer is familiar with. Receive reports real-time about message status applying filters status wise. Graphical Analytics allows you to view the number of messages sent, delivered on a hourly, daily, weekly, monthly etc. basis. Upload and send up to 500K Contact in a single batch through Bulk Upload. Track the progress of file upload in the progress bar and get information instantly about pending amount of upload. Run, manage and monitor your SMS campaignsfrom a single, user-friendly dashboard interface.Send messages through API request or uploadmessages to our platform and let us handle the message delivery. Reach us round the clock and we are happy to help you. SMS World customer support team is available 24/7 and assures faster resolutions to your queries. 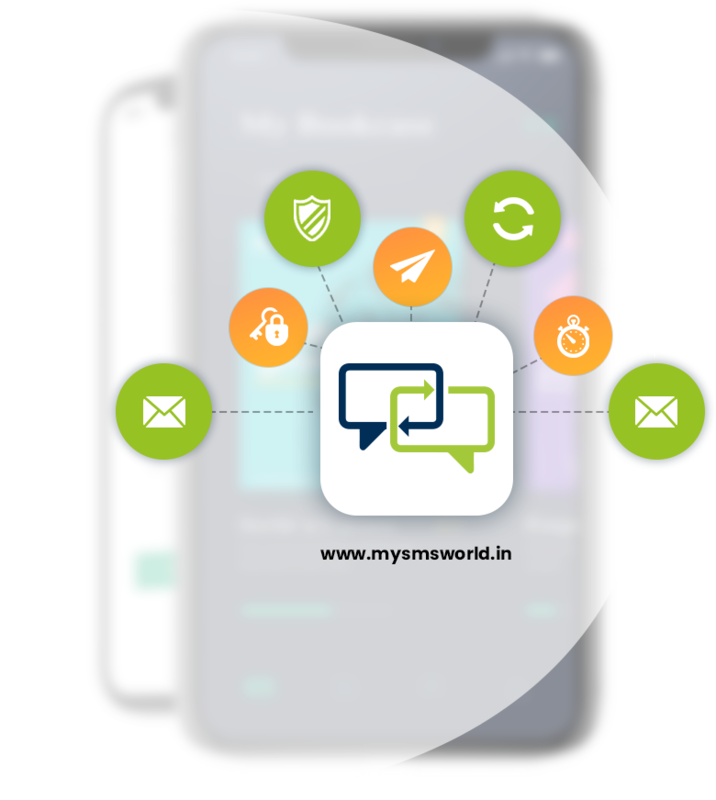 SMS World Bulk SMS APIs allow you to send bulk SMS offers, trigger transactional updates and OTPs, receive inbound SMS, pull reports, manage contacts & more. Our intelligent SMS gateway routing assures best-in-class delivery. Connect with your customers better by sending messages across the globe in their preferred language through Unicode messages and send messages. Select an SMS Route that best suits your needs whether it is just for Customer engagement or for the purpose of Bulk SMS Marketing. Go through the below-mentioned guidelines, it will help you get started. The Promotional SMS Service is for Businesses who want to send offers and promotions to their existing and new customers. It is configured by default for all new accounts. The SMS are sent to opt-in and DND numbers only anytime between 9 am and 9 pm only. You can start your free trial anytime. Transactional Route of SMS sending is just used for sending transactional Smses such as bank alerts and OTPs to registered users. You will have your own 6 character Sender ID (Ex: AM-JABONG) to send messages. You just need to create an account contact SMS World to configure it; you are not required to pay any setup cost for it. SMS World Bulk SMS Company configures both Promotional and Transactional SMS routes for you, free of cost so that you can send any business SMS hassle-free! With platinum telecom partnership and intelligent routing technology, SMS World SMS gateway assures you best-in-class delivery rates for both Bulk SMS and SMS alerts. Get the most advanced and reliable SMS gateway with expertly tailored solutions to meet your needs and save you money. You’ll always get the right price and the best service. We are an SMS Marketing Company that only believes in action than making promises. We’ve done it over 1 billion times for over 15,000 customers, in almost every conceivable industry. You get our exclusive 99.9% SMS Gateway uptime guarantee for total peace of mind.